To avoid the cost of preparing this vehicle for annual PSV test, and to better utilise the gearbox from this vehicle in Scania L94UB/Wright Solar 4989 (YN51 MKV), this vehicle has been withdrawn from service at Deptford Depot, and will be sold for scrap. 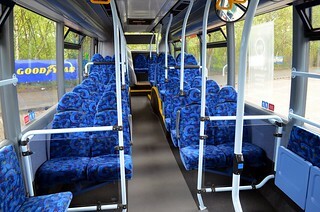 It will be replaced in the fleet at Deptford once cascades commence, as a result of the entry into service of 18 brand new Wright Streetlite vehicles due for delivery in June. Following temporary loan to Chester-le-Street Depot, this vehicle has returned to service at Deptford. Following the withdrawal of Scania L94UB/Wright Solar 4928 (Y928 ERG) with no permanent replacement; this vehicle has transferred from Deptford Depot to Chester-le-Street, on temporary loan, to alleviate vehicle shortages. This vehicle has transferred from Deptford Depot to Peterlee, on temporary loan, whilst Mercedes Citaro 0530N/Mercedes Citaro 5333 (BJ10 VUT) undergoes repaint and another "Wear Tees Xpress" branded Mercedes Citaro 0530N/Mercedes Citaro vehicle is off the road. 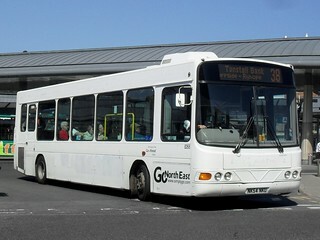 Following temporary loan to Chester-le-Street, this vehicle has returned to service at Deptford Depot. 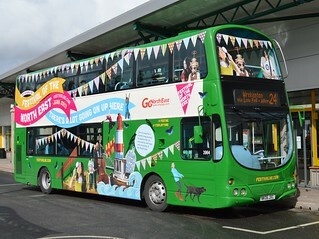 To allow double-deck vehicles to be released for the special Sunderland Airshow Park & Ride and shuttle services, this vehicle has transferred from Riverside Depot to Chester-le-Street, on temporary loan. 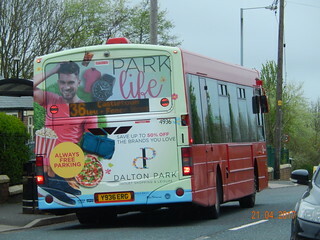 Originally added to commemorate the company's centenary year in 2013, this vehicle has had its 'Northern' fleet names stripped ahead of the introduction of a new company corporate livery. 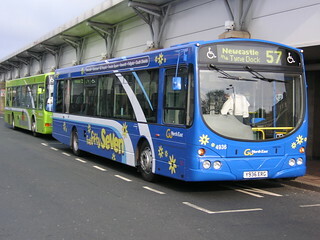 This vehicle has received "Fab Fifty Seven" branding, for services 57/57A (Newcastle - Gateshead - QE Hospital - Fewster Square - Heworth - Fellgate - South Shields). 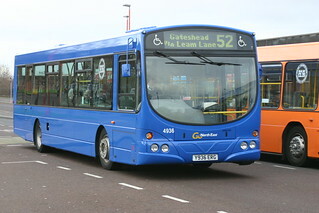 Prior to new branding being launched, this vehicle has been repainted into a plain blue base livery. 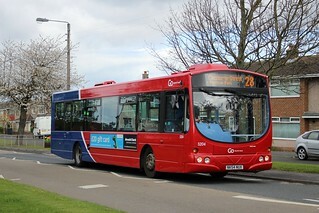 Having transferred to Deptford retaining "Route 19" branding, this vehicle has now been stripped of "Route 19" vinyls, and carries a plain white base livery as such.